How can conservative religious people save their children from a monstrously hypertrophied public school system? In the pages of the Christian Post, Paul de Vries offers a few suggestions to restore the educational prerogatives of conservative families and churches. Could they work? De Vries, an evangelical philosopher and school leader, suggests a religious solution to angst over high-stakes Common-Core tests. 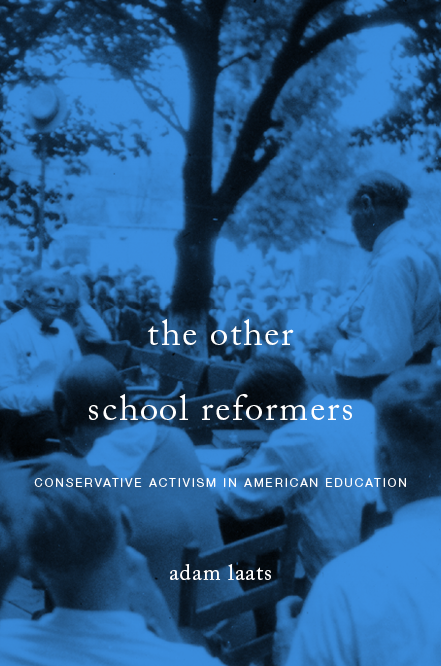 In short, de Vries wants to “restore” the “prize-winning, God-ordained architecture of education that made our country great.” Instead of passing off education to the public-school system, de Vries writes, conservatives need to increase the educational role of the family and the church. Not only can this plan help students learn to read and cipher, but it will inject a dose of Christian morality and soul-winning into a woefully secularized system, de Vries believes. He offers a menu of specific things conservative religious people can do to assert more control over education. For instance, churches can offer Saturday school in phonics instruction to all the kids in their neighborhoods. It would be a win-win. Young people would get better reading skills, which would help them in their education and standardized school tests. Churches would get more people to heaven, by using the Bible as the only textbook, instilling a deeper appreciation for the Christian Gospel in all the kids of the neighborhood. Could it work? De Vries says that it does already. Calvary Baptist Church in Manhattan, one of the foundational churches of the fundamentalist movement in the 1920s, already runs a program like this. Save Our Children from Jesus! Elsewhere, though, religious add-on programs have run into trouble. In Portland, Oregon, for example, parent activists mobilized to spread the word about Christian attempts to spread the Word to children. As the sophisticated and good-looking regular readers of I Love You but You’re Going to Hell (SAGLRROILYBYGTH) may remember, in that case the Child Evangelism Fellowship promised to educate kids about God and phonics in fun-filled after-school programs. The CEF had the Supreme Court on its side, but non-evangelical parents promised to block access to unwary children. Professor de Vries hopes that parents will want educational success badly enough that they’ll send their children to Saturday morning church-school. The phonics program, he hopes, will be an attractive lure for children who might otherwise never enter a church. I taught CCD (aka “Catechism”) for two years in my parish, and I was disheartened at the pressure put on children to attend weekly Mass. After all, only the parents could provide the transportation to church every week. Also, I never marked a student as late to class; again, because the children who had to depend on the parents for timely arrival. One year, we had a pretty fair amount of snow coming down, classes weren’t canceled, but I didn’t mark any of my no-shows as absent. I assumed the parents had the good sense to stay off the road. Its not just evangelicals who use children to get to the parents. I used to be a fundamentalist, and I remember the planning for vacation bible school, CEF instruction, and various children’s groups such as “AWANA”, in which children memorized Bible verses to obtain various recognition and achievement goals. Using children to access parents is as old as time itself, I think, and is not only limited to religion. It’s up to parents to vet any activity in which their children are involved. That sounds a little different. Nominally involved Catholic parents sending their kids to CCD without a lot of support for even getting them there are in a position where some pressure from the church to show up is totally appropriate. The kids are in an awkward position, but it’s the parents who put them there. It’s not as if the church is rounding kids up off the street with invitations of cookies and a quickie confirmation — and then pressuring the kids to show up at mass with their parents. That is basically what CEF does or did when I was a kid. VBSes and AWANA make the invitation to the family, but CEF goes directly to kids and tries to engage them with street preacher style theological questions about knowing “where you will go” when you die. I always thought it was a sincere although pushy and hamfisted effort to evangelize kids. It’s really misguided for any group to try to build membership this way. The fishing metaphor in the gospels is being taken too literally when you are using a real bait and hook strategy to get people to join your church or embrace your beliefs. @Adam – What do you make of the “conservative family values” an self/social improvement rhetoric in from De Vries and CEF’s response to your blog in the older post you linked to? This seems like a post 1990s bid for mainstream legitimacy by saying indirect Bible study is a means to good grades, strong families, and a good society. A generation ago and more I think most evangelicals would regard this as a secularizing move into “civil religion” where the gospel is intrumentalized. I think nearly everyone could agree that churches should focus on phonics using phonics texts, and if they want to do bible lessons, then they should call them that. Doing just one or both will be appreciated if its really done for the long term with a “no strings attached” effort to build relationships in the community and to help kids and their families. This is a question I’ve dug into a few years back in an article about the different attitudes prevalent among Protestant fundamentalist educators. In short, in the 1970s, writers associated with Pensacola Christian College and A Beka Book advocated using phonics and traditionalist classrooms as “bait” to attract families to fundamentalist churches. At Bob Jones University, on the other hand, the dominant thinking was that Christian schools should be reserved for children of “saints” only. That sounds right. A Beka, CEF and PCC were a big deal among fundamentalist Baptist families I knew in upstate (southeast) NY in the late 70s and early 80s. I was raised a Protestant, and was involved in CEF and AWANA. I think my experiences as a former Protestant color the way I view CCD. Your points are well taken. I still find that kids are stuck in the middle. You’re right — churches and para church organizations can be remarkably insensitive to how this appears to onlookers and what it can feel like for kids. Children are not fools; they are very aware of not being cared about as individuals when adults focus on getting them to some sort of belief/identity result without much regard for how they get there. It is, at its worst, impersonal and dehumanizing. This contrasts sharply with any message of grace, love, and special concern for the smallest, weakest and most vulnerable — and children do not miss this hypocrisy.